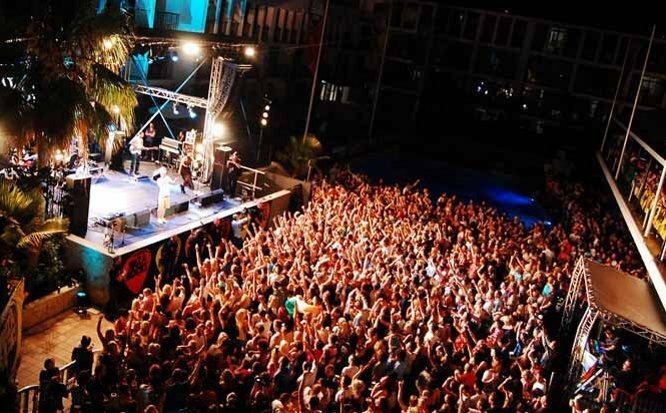 Ibiza Rocks Hotel, situated in San Antonio, showcases the biggest bands and freshest musical talent in the industry at a live music concert. Booking the biggest names in the business like Dizzie Rascal, Rudimental, Craig David, MK, Stormzy, Toddla T and Sonny Fodera, it's little wonder the island's party goers flock to the Ibiza Rocks Hotel to experience a different dimension to their clubbing holiday at well respected nights Ibiza Rocks and daytime pool parties. An island dominated by electronic dance music, The Ibiza Rocks hotel has brought a refreshing musical dimension to the Ibicencan scene since it opened in 2008.